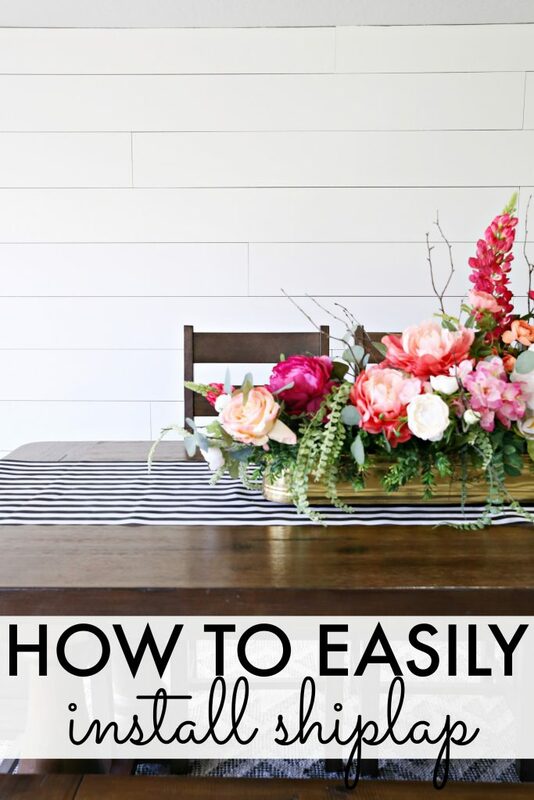 HOW TO: Shiplap a wall the easy way! Use our tutorial to make your own! 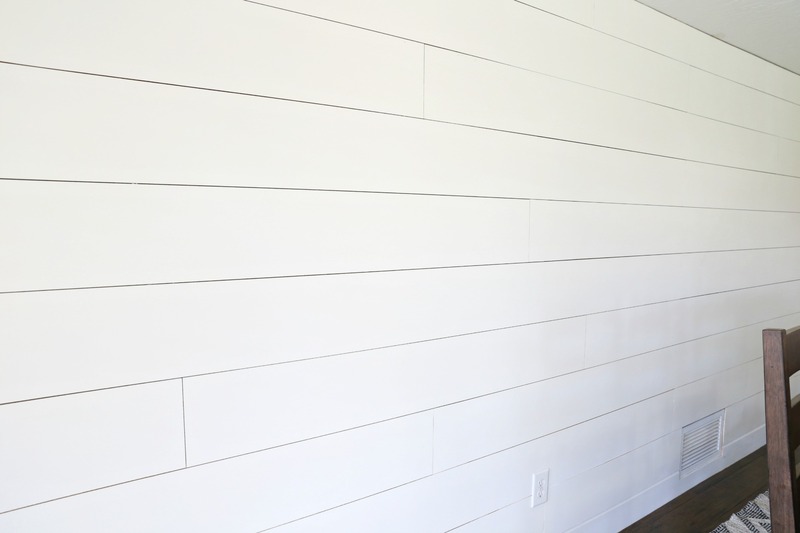 Shiplap walls are a hot trend right now! We’re going to show you how to make your own shiplap wall in your own home! To shiplap a wall, you need a few basic tools and basic woodworking knowledge. This is a very beginner “woodworking” project but you need to be comfortable using a saw to make your cuts. We have done several shiplap walls and have fine tuned our method for building a shiplap wall. 1/2″ MDF – We have Home Depot cut down a 4×8′ sheet of MDF into 8″ strips. TIP: If you order and pay for the sheet of MDF online, some Home Depot stores will cut your strips for you before you go and pick it up. This makes your project SO much easier! Cut your MDF into 8″ strips – you can do other widths but we love the look of the 8″. Most home improvement stores will cut the strips for you. Some charge a small fee but in full disclosure, we’ve never been charged the fee. Be nice to your lumber department employees and they’ll take care of you! 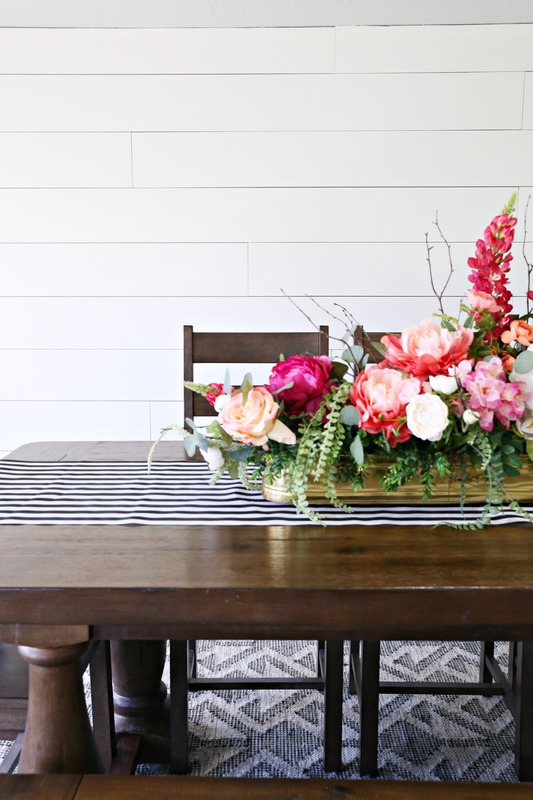 Starting at the bottom on one corner, start nailing your first row of shiplap to the wall. Make sure your first row is completely level before nailing. NOT all floors and baseboards are level. There’s a good chance it may not be so double check. If there are any slight gaps, you can fill with caulking later. Again, make sure your first row on your shiplap wall is level. We always nail into the studs first (you can use a stud finder for this step if you don’t know where your studs are) then we always use extra nails into the drywall/sheetrock for extra support. Starting at the bottom allows your next rows to sit on the bottom for support while you nail them in. When you get close to the adjacent wall, cut your MDF strip to length with a miter saw or a circular saw. Nail to the wall. Next, use your popsicles sticks as spacers and nail on the next row. Repeat all the way up the wall, using a jigsaw to cut around any outlets or light switches. Half inch mdf is pretty heavy. Could you use 3/8” instead? 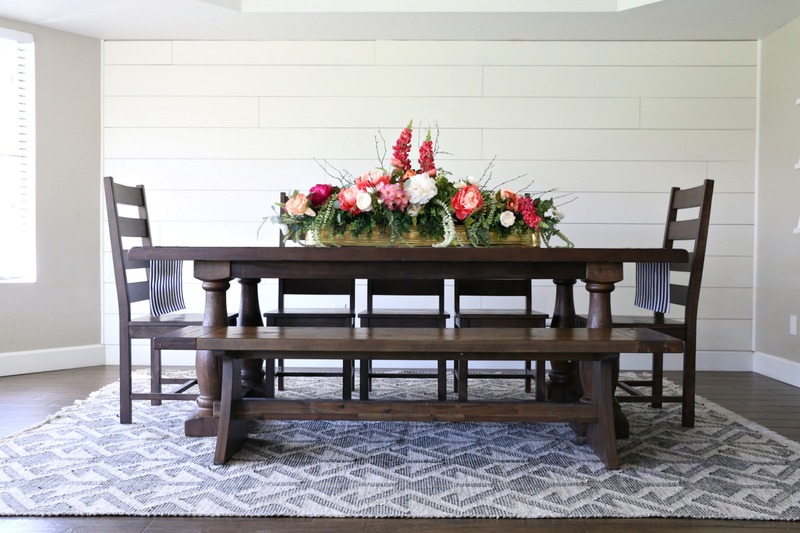 How come you use MDF instead of 1/4″ plywood? Is there a distinct advantage? Also, popsicle sticks instead of nickels as spacers? Is that better? I’ve done a couple of shiplap walls but am curious about these differences. What color paint did you use? Would you recommend this white paint for any project/walls in your home? What length do you cut the MDF? You cut the strips in 8 foot strips, correct?